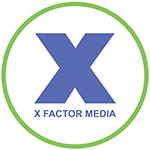 X Factor Digital Marketing Has New Classes Starting January 2014. Contact us today to schedule a business or individual. A topline review of your current digital marketing strategy. A topline review of your current digital marketing strategy. The first half of the day will focus on S.E.O (search engine optimization) suggestion and strategies tailored to your specific operation. The second half of the day will delve into your existing social media platforms and discuss the pros and cons of your current setup. Seminars and classes are held at our Courtlandt Ave, NYC Offices. Inquire for full details.